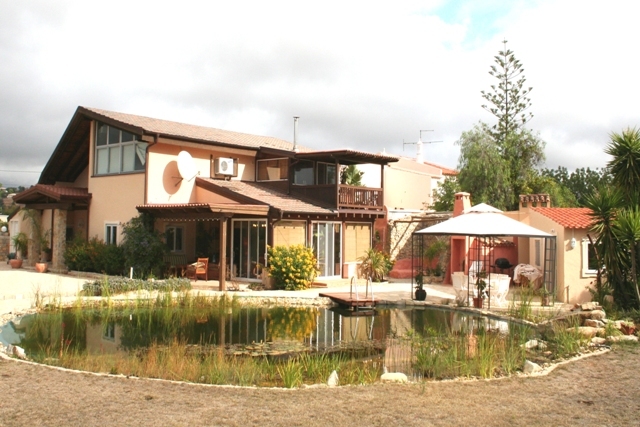 well maintained 3-bedroom villa with pool - Property for sale. Full Description: A well maintained 3-bedroom villa with pool located few kilometers east of S. Bras de Alportel. A large swimming pool formed from a natural lake which is skimmed and filtered. Price reduced from 420.000 € to 325.000 € On the first floor is a separate apartment with living-dining, kitchen, balcony, bedroom and bathroom. Has airco. Entrance hall Living-dining room with wood burning stove Fully equipped kitchen with store room 4 Bedrooms 2 Bathrooms Laundry Attic storage space Air conditioning in the living-dining room Satellite TV Double glazing and mosquito screens BBQ with covered dining terrace Pool – natural Parking area Landscaped garden with fruit trees Mains electricity & water Telephone connection In the garden is a shed/workshop. This listing has been viewed 801 times.